Little Cottage is a charming and cosy terraced cottage, the perfect combination of period charm, idyllic coastal décor and modern comforts. 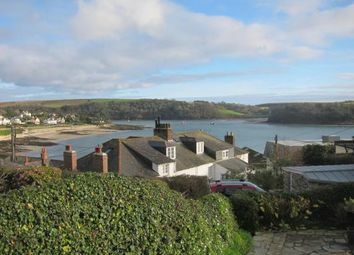 The property is situated in a delightful part of St Mawes and commands excellent views over the village, harbour, onto Place and with National Trust land beyond. 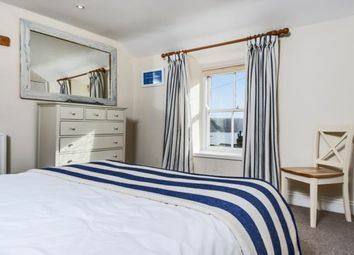 The cottage has been subject to a tasteful programme of modernisation in recent years, including extensive improvements by the current owners and offers well proportioned accommodation. Features include an attractive sitting room with opening through to a contemporary shaker fitted kitchen diner. The most recent improvements include a new wood burner in the sitting room, new bathroom and ground floor cloakroom and the property further benefits from lpg central heating. 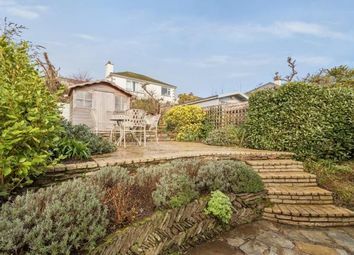 Southerly facing, the front garden enjoys a sunny aspect throughout the day and the rear garden, which has been recently landscaped with patio and summerhouse, enjoys the afternoon and evening sun. 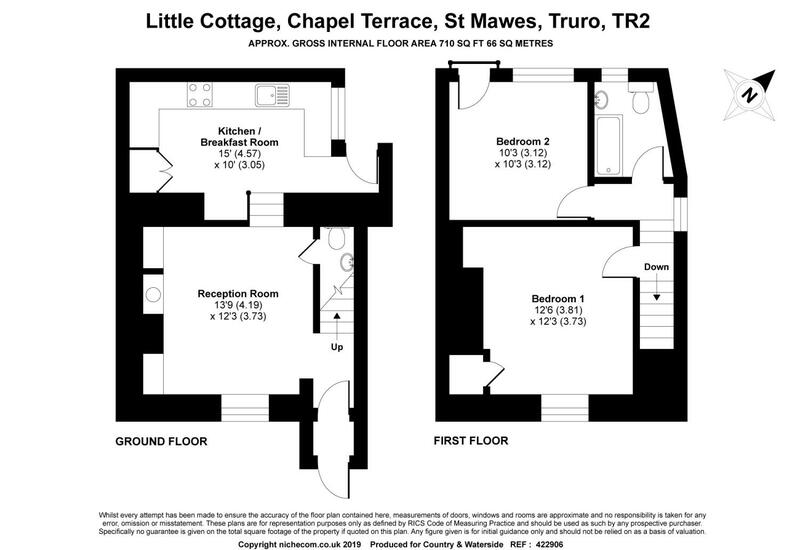 • A gorgeous two bedroom character cottage in a sought after terrace some 200 yards from the water front in the sailing resort of St Mawes. 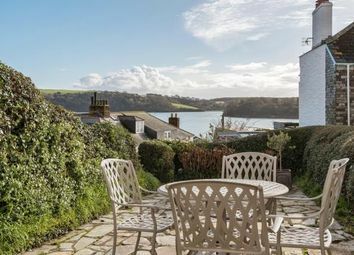 • Peaceful elevated position with wonderful views over the village, harbour and the Percuil River with National Trust land beyond from the ground floor, main bedroom and front garden. • Sensitively updated and beautifully presented with period details including sash windows and window seats, beamed ceilings, panelled doors. 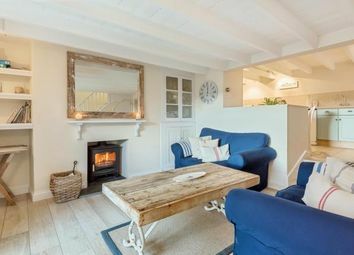 • Cosy sitting room with wood burner and opening to the shaker kitchen breakfast room, all with harbour views. • Attractive paved gardens to the front and rear with good degree of privacy. 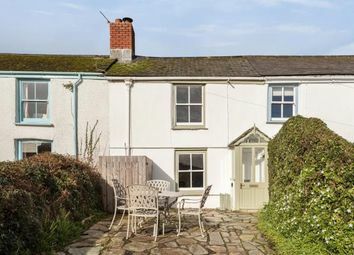 • A very appealing cottage currently used as a second home and popular holiday property with proven letting record. Ground Floor An attractive entrance porch with pitched slate roof and part paned panelled door and second panelled door leading into the open plan sitting room. The heart of this home, the beautiful room has a beamed ceiling, sash window with views and deep window seat. The fireplace with timber mantel and slate hearth, fitted with a wood burning stove and recesses to each side with glazed cabinet, storage cupboard and display shelves. Opening to the kitchen and balustrade stairs lead to the first floor with an under stairs cloakroom with WC and further storage cupboard. Kitchen The well equipped kitchen has a range of blue shaker units with solid wood worktops, inset one and a half bowl stainless steel sink and drainer, built-in electric oven with four ring ceramic hob over, fridge/freezer, washing machine and dishwasher. Cupboard housing lpg boiler supplying the hot water and central heating. The dining table has a recessed sitting area and opening looking through to the sitting room and harbour views beyond. 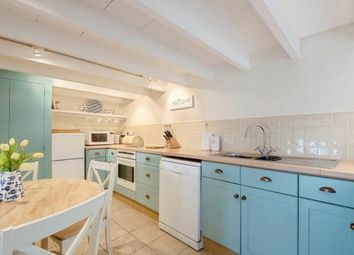 The kitchen also has a beamed ceiling, multi paned window and door leading to steps to the back garden. First Floor On the first floor is a small landing with window to the side. The front bedroom has a sash window with deep window seat and enjoying the commanding village and harbour views and built in wardrobe. The second twin bedroom has a small built in cupboard, multi paned window to the rear and stable door leading to the back garden. 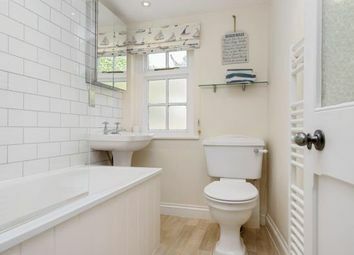 The bathroom has a new suite comprising a panelled bath with shower over and glazed screen, WC and pedestal wash basin, heated towel rail, window to rear. Outside From Chapel Terrace a short flight of steps leads to the elevated stone paved front garden which I lined with hedging, ensuring a good degree of privacy. The surprisingly spacious patio is the perfect space for dining and loungers. The rear garden can be accessed from both the kitchen and bedroom and is landscaped with stone paving to create another sheltered and easy to manage garden and benefits from the afternoon and evening sun. A timber summer house provides useful storage for garden furniture, beach and barbeque kit. St Mawes The elegant resort of St Mawes sits on the tip of the Roseland Peninsula on the south Cornish coast and boasts some of the finest day sailing waters in the country. Recently described by The Telegraph as 'effortlessly classic and increasingly chic' the village has an active community, family friendly beaches, boutique hotels such as Olga Polizzi's legendary Tresanton and the stunningly refurbished Idle Rocks and St Mawes Hotel, sailing club, restaurants, galleries and shopping for daily needs. The Roseland The Roseland Peninsula is an Area of Outstanding Natural Beauty with dramatic coastline, National Trust land and pretty harbour villages. An enduring holiday destination, the Hidden Hut Beach Cafe at nearby Porthcurnick Beach, has been described as the 'hottest destination in the county, if not the country' and just beyond the beach at Rosevine is the Driftwood Hotel with its Michelin starred restaurant. 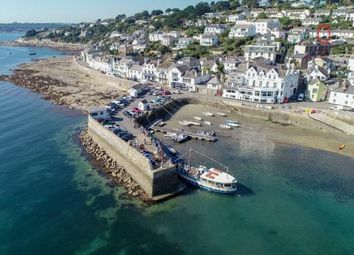 The vibrant harbour town of Falmouth across the bay, reached from St Mawes by passenger ferry, was recently named by Sunday Times readers as the best place to live in the UK. The cathedral city of Truro, with a wide range of commercial facilities and direct rail link to London is 19 miles away and Newquay airport is less than an hour's drive. Agent's Note The property is currently let through Cornwall's Cottages; . Please contact the seller's agent for more information. 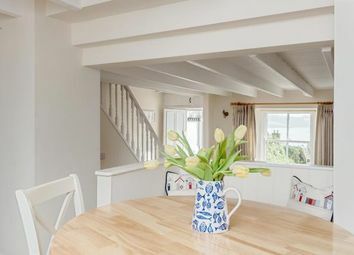 The property is perfectly presented and all furniture and soft furnishings have been hand picked for the property to create the perfect St Mawes cottage. We understand that many of the main contents can be available by separate negotiation. Want to know what people who know the area really think? Use the link below and see all the results for TR2 area.